They are different kinds of Kenyan Visas tailored to varied visitors or potential resident requirements. Kenyan Visas, according to the Directorate of Immigration and Registration of Persons, should be issued in accordance with the provisions of categories 1, 2 and 3 of the Kenya Visa Regulations 2010. 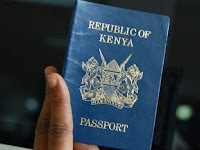 Required by all persons intending to enter Kenya for visits or residency. Required by all persons intending to transit through Kenya to a third destination for periods not exceeding three days. Issued only at entry points to Kenya. Transit visa fee Kshs 2, 000. Issued to Diplomatic Passport holder on official business to Kenya. Official, Service, (Multiple, Ordinary/Transit) Visas are issued to holders of Official or Service passport on official visits/transit. Nationals of countries requiring visa for Kenya who because of business or circumstances need to make frequent visits to Kenya may be issued with Multiple Journey Visa for Kenya within six or twelve months. Processing, approval and issuance of this kind of Visa is done only at the Director of Immigration Services office in Nairobi. Standard fee for Multiple Journey Visa is Kshs 10, 000 for all nationalities. Courtesy (Transit /Ordinary) Visa may be issued according Provisions of categories 1, 2 and 3 of the Visa Regulations, where the applicant is not entitled to a Diplomatic Visa, but it’s considered to be desirable on grounds of international courtesy.